This app was pretty decent, with a few dropped calls. Recently, the caller id quit working. It only says "sideline incoming call". Calls were also beginning to drop. I use this as a business line. On top of all that now they want to charge for an app, that's less than 80% functional, uses my cell data/wifi services I purchase from a provider. If that's the case I could purchase an additional line for $10. The way sideline broke the news to current app users was through an ad/text message. So if you missed it, oh well. I prefer to go with an app I know I have to pay for upfront vs. a text from a free app. This action reminds me of how Netflix treated their customers by quickly increasing their prices, if I'm not mistaken they are still trying to recover. I have also been reading where they are charging $20 to port your number out. Well I brought MY number to sideline, with that being said if I am charged to port MY number out, I will have to take further actions, because it was my number to begin with. This is one of those apps you have to read the fine print. Be cautious with this app. Update: I decided to try it out. It was ok, not like it was but ok. Since this most recent update, the app crashes ALL the time! This is a business number. Meaning I get paid with my business!!!! If you charge for an app make sure it works! My business is just as important as this app!! Hi Cassondra, we're sorry you're having trouble with your Sideline app. If you email us at reviews@sideline.com with your number we can look into what's going on and how to fix the problem for you. Hi I have been using Sideline for a couple years now. I Got this app to have a second number so I could run my business off of it and still have my personal line. I wasn’t quite sure how I was going to like it but after the first month I was sold on it. I’ve had it for about two years now and have switched from a couple different phones as I have upgraded and I haven’t had any problems switching over. Anytime that I have had a tiny issue they have responded within a few minutes and have fixed the problem a few minutes there after. I have told many of my friends and coworkers about Sideline and they are using it also. I also noticed that I don’t get any spam calls on this number so somehow spam doesn’t recognize it which is a plus. One thing about it that I don’t like is that when I’m filling out certain applications online such as bank accounts and have to leave a phone number, they don’t except this phone number they say it is a faulty number but that’s OK I’ve used this number for two years and couldn’t want anything more thank you sideline!! Hi there, thanks for your review and for telling your friends about Sideline. We really do appreciate it. Also, we're working hard to expand our coverage when it comes to verification codes for banks and other companies. If you email us at reviews@sideline.com with a list of companies you've had trouble with in the past, we'll do our best to add them in the future. Happy New Year! 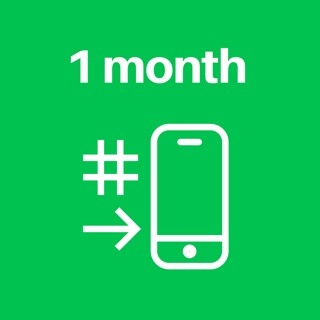 I started using this app when it was free as a local business number. When it was free it was great and I could tolerate when things glitched. It was free after all so I couldn’t really complain. FF to October it became a subscription based app and that’s where all the problems began. We signed up and immediately started having issues. Things from billing, calls not coming in, calls not going out and most of all LACK of customer service. After 2 weeks in December and 2 weeks now in February we were barely being able to get any customer support. We decided to pay a bit more money for another app that provides better service AND has an actual person to speak with if any issues arise. The worse part was having to pay an additional full month of service + pay to port out our number and being charged 4x by iTunes. YES 4 TIMES! You have to go through iTunes and hope their app recognizes what you’re doing. They can’t even process their own payments right then want to drop that dead monkey on apples lap. Because of that they tried to hold our phone number hostage. We will not recommend this service to anyone and now have to see how we will get back all the overages they robbed us of. Hey Qban, we're sorry you had so much trouble with the app. We'd be interested to hear more about your experience and how we can make Sideline better in the future. If you're interested, email us at reviews@sidelne.com.